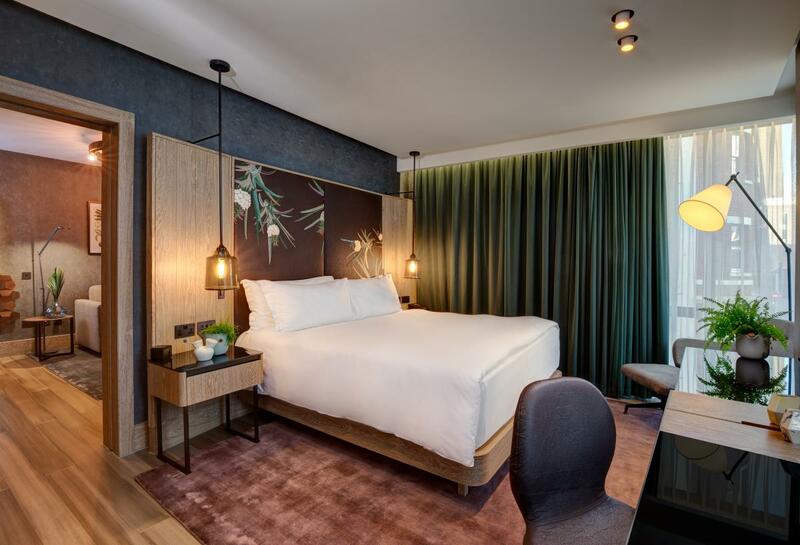 Hilton Bankside Hotel has launched the world’s first completely vegan hotel suite, replacing materials such as feathers and leather with innovative new vegan alternatives and providing guests with cruelty-free toiletries and a vegan minibar. Food and design studio Bompas & Parr has teamed up with Hilton Bankside Hotel to create the first ever vegan hotel suite that is completely free from animal products and materials made from animals. Whilst many people are now turning to plant-based diets in a bid to lessen their environmental impact, the studio aims to show that veganism involves more than cutting animal products from your diet and can help ‘influence a wider lifestyle choice’ when you take into consideration things like clothing and interior decor. 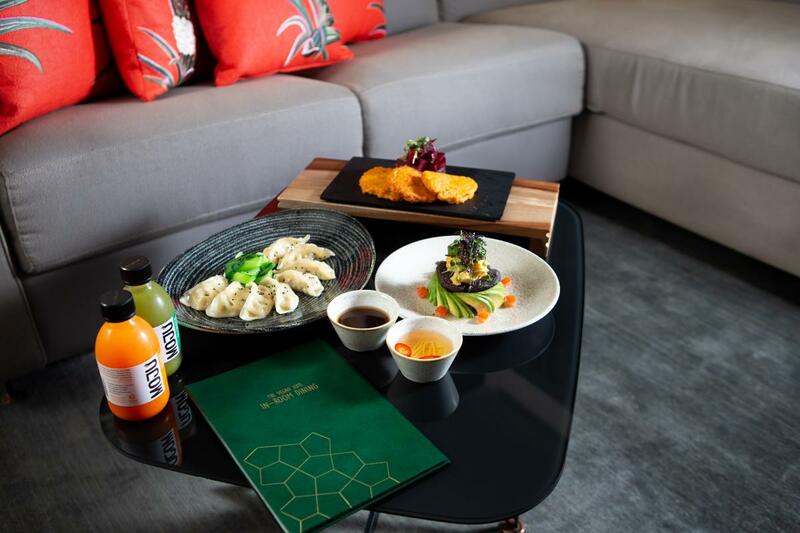 The vegan hotel suite can be found at the 5-star Hilton Bankside Hotel, and guests will find that the room is completely free from materials such as feathers, wool and leather which are often found in bedding and seating. Instead, the suite, which is comprised of a large bedroom, sitting area and bathroom uses the innovative new material called Pinatex – a vegan-friendly leather alternative derived from pineapple. But it’s not just large items like the bedding and sofas that have been given a vegan makeover as over the past year, the team at Hilton Bankside have worked with Bompas & Parr to source a range of innovative vegan-friendly materials to feature in the suite, ensuring even the most minuscule details are as ethical as possible. 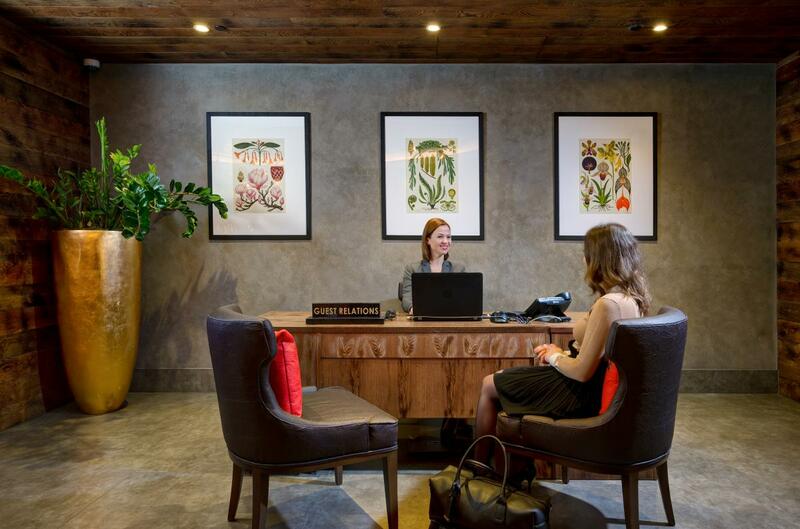 When checking in, guests are direct to a separate check-in area where the seats are made from Pinatex, allowing guests to forgo sitting on leather seats. In fact, everything in the room, from the cotton carpets, cushions, headboard and even the key card to access the room have been designed to be made completely vegan. Instead of feather pillows, guests will find a choice of buckwheat or millet hulls, kapok or bamboo, whilst the toiletries provided in the bathroom are both vegan and cruelty-free. 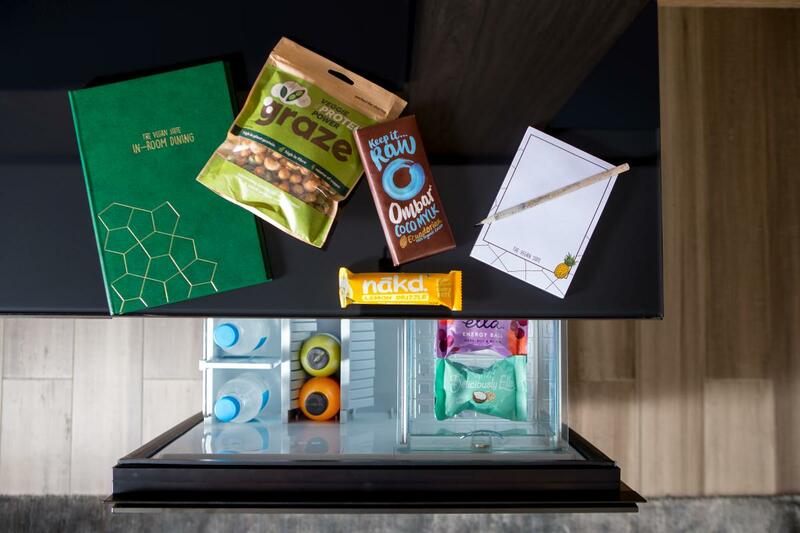 Guests will also find their minibar stocked with a tasty selection of plant-based drinks and snacks. When it comes time to leave, the housekeeping staff will be using cruelty-free cleaning products that are completely free from animal-derived ingredients too. However, whilst the room sounds like a dream come true for travelling vegans, at a cost of £549 per night the suite doesn’t come cheap!